Our pricing is simple. Start by listing your property for free! Start by creating your FREE property listing and upgrade anytime! Include Viewing Organiser, Private Messaging System and Negotiation Platform to agree terms of sale. 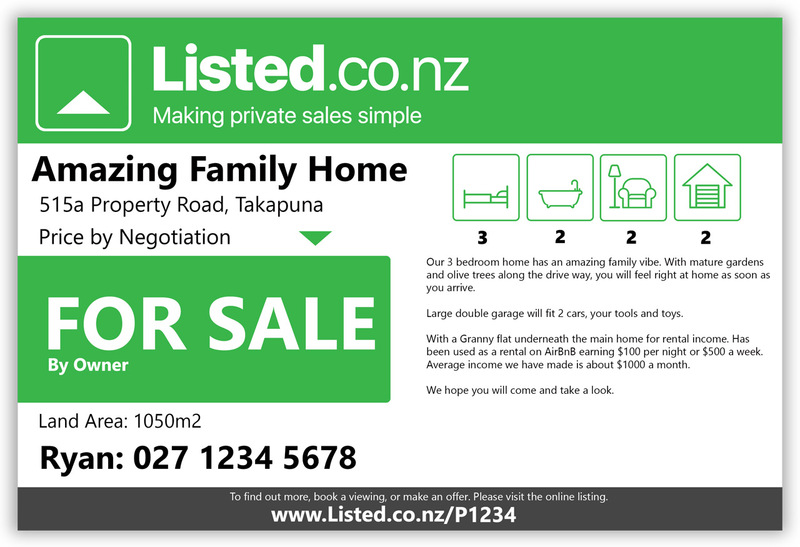 Whether you’re buying or selling, listed.co.nz brings you all the services you may need in one place! 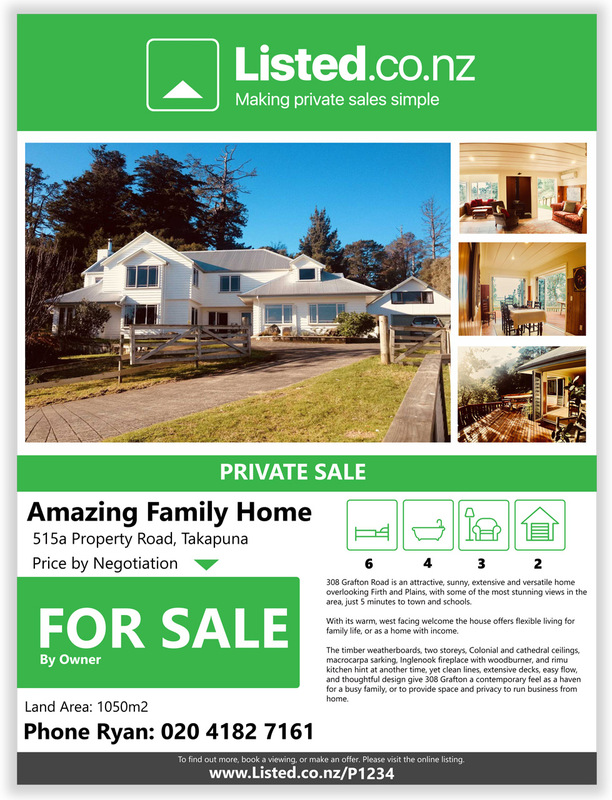 Our road side signs let the people in your local area know your house is for sale, with a link back to your online listing for them to view more details, make contact and book a viewing. Order your sign as an ad-on when creating your listing or purchase through ‘Order Services’ in your control panel at a later date. We automatically pull the information from your listing to create your sign and will email you a draft verison to approve before we print. Once the draft sign has been approved we aim to deliver within 48 hours to anywhere in the North Island except outlying rural areas. Delivery to South Island and rural areas may be slightly longer. Our Professional FOR SALE sign will give passers by a glimpse into your property, inviting them to contact you for a closer inspection. After placing your order we will contact you to organise which photos you would like to have displayed on your sign. We will send you a draft version for you to review before we print. All Open Home Pointers are printed double sided. Need a mortgage? Click the button to request some FREE expert advice. Found a property but unsure if you can get the finance? Looking to remortgage? Our partnered mortgage brokers are highly experienced and are here to help. Click the ‘Request Callback’ button to have an expert broker get in touch and help you receive the right financial advice for you. Request a callback for some no obligation, FREE advice. Please Note: We are currently in the process of on boarding our service providers into the platform, however we want our Buyers and Sellers to benefit from the tools we provide straight away! If the service you require is not currently available through the site, please bear with us while we are busying add them or contact us and let us know what you require.